Ultimate Outsider: She's Mine... All Mine!!! 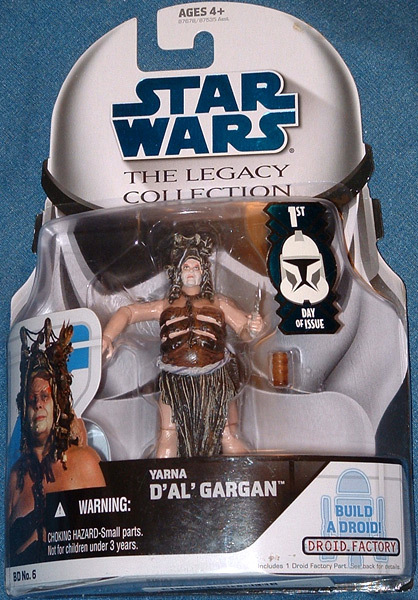 Kenner actually prototyped Yarna way back in the mid-eighties, but it is said that Lucasfilm objected to the idea. 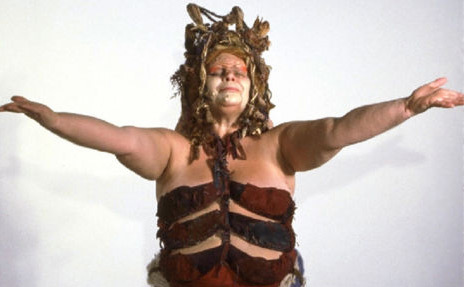 The fact that she was one of only two Star Wars figures that were modeled but never released lit a fire in the tidy little hearts of collectors (well, maybe not all collectors); the Yarna Figure became the many-nippled grail of the PVC Star Wars universe. It would be over two decades before Hasbro (current toy licensee of the Star Wars brand) revisited the idea of a Yarna figure for their Legacy Collection line of toys. Hasbro ran a poll asking fans what their most desired Star Wars toys would be, and a Yarna figure topped the list. And now, with my Collector's Anxiety momentarily sated, Yarna stands on my desk, poised to entertain me with her alien wiles... and daddy like! Shake 'em babeh. Shake ALL of 'em.